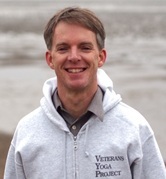 Dan is founder and Executive Director of Veterans Yoga Project. He is a licensed clinical psychologist and yoga teacher specializing in the mindful integration of Complementary and Alternative approaches with evidence-based psychotherapy. 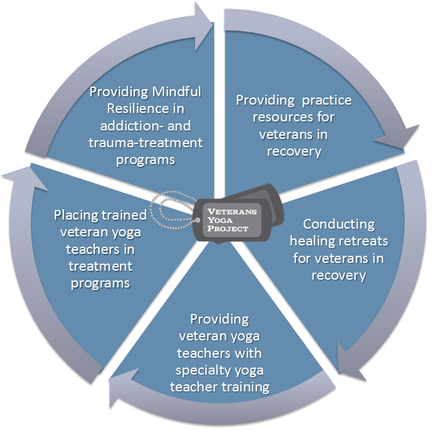 Veterans Yoga Project offers a wide variety of resources for Veterans and active duty Military. Welcome to the V Y P Practice Library. Be encouraged, get involved by self empowerment. Hi from the West Coast. My name is John Oppenheim and I have joined the group to help as much as I can. I teach at a Long Beach, CA facility and I would like to thank all of your who have taught and are supporters. I hope you have all joined our new CRM system so we can have your up-to-date information and be able to communicate with you from that software. A mindfully developed yoga program can be a valuable complement to mental health treatment for addiction, post-traumatic stress, and other psychological disorders. A good read suggested by John Oppenheim, Veterans Yoga Project is entitled: “yoga for pain relief” by Kelly McGonigal, Ph. D.
We invite and encourage you to test the waters. These tools have proven to be very effective and may be right for you.